Contemporary Metal Knob 1 1/4 in (32 mm) Dia - Brass - Germain Collection Contemporary mushroom-shaped knob by Richelieu. Its simple discreet shape and smooth surface will enhance your furniture and dicor. 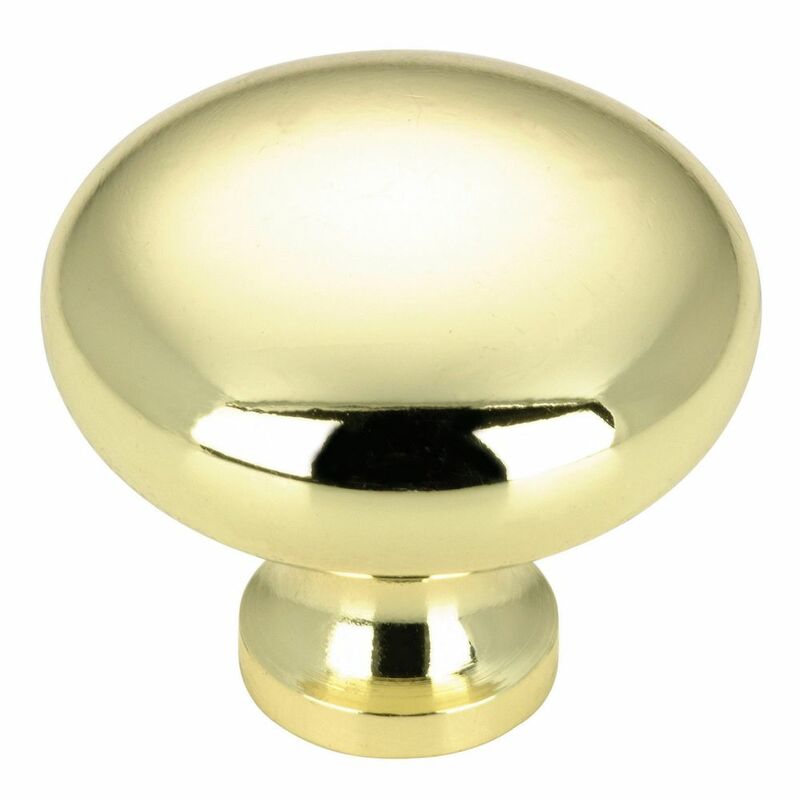 Contemporary Metal Knob 1 1/4 in (32 mm) Dia - Brass - Germain Collection is rated 5.0 out of 5 by 1. Rated 5 out of 5 by RDN from We recently had the brass knobs installed on new cabinet doors and smaller drawers during our bat... We recently had the brass knobs installed on new cabinet doors and smaller drawers during our bathroom remodel. The knobs are solid and smooth, free of defects and flaws. They are just the right size, and they look beautiful.